Spotlight on… air pollution raises awareness of the impact of air pollution and provides the industry with advice on tackling the issue. Air pollution is a key concern for the construction industry due to the sector’s considerable impact on air quality. Less than a quarter of all air pollution-related deaths are in London, so it is clear that air pollution is everyone’s problem. Construction sites are responsible for 7.5% of nitrogen oxide emissions, 8% of large particle emissions and 14.5% of emissions of the most dangerous fine particles. The construction sector mostly contributes to air pollution through construction dust, plant machinery and construction transport. The industry is taking steps to reduce air pollution through air quality plans, emissions monitoring, dust management, low-emission plant machinery, delivery management and raising workforce awareness. Air pollution is a public health crisis. Breathing in polluted air can lead to serious health problems, including respiratory illness, asthma, bronchitis and even cancer. These conditions and other illnesses linked to air pollution are responsible for 40,000 deaths a year in the UK. In addition to the health effects of air pollution, the cost to the economy as a result of health problems linked to air pollution is estimated to be more than £20 billion every year. Air pollution is also an environmental concern, damaging plants and animals and contributing to negative climate change. Many sources of air pollution are also heavy emitters of carbon dioxide (CO2), releasing greenhouse gases into the atmosphere and causing global warming. The two main forms of air pollutants are nitrogen dioxide (NO2), which occurs from engine emissions (particularly diesel), and particulate matter, which comprises small airborne solid and liquid particles and occur from dust, soot, smoke etc. Particulate matter can be divided into coarse particles with a diameter of 10 μm or less (PM10) and fine particles with a diameter of 2.5 μm or less (PM2.5). Particulate matter greater than PM10 gives rise to soiling and can affect the lungs and the heart. Particles less than PM10 can cause more serious problems as they can get deep into the lungs and into the bloodstream. Construction dust and exhaust emissions are key contributors to high PM levels. Air quality is high on the global agenda, with the Breathe Life campaign reporting that 80% of cities worldwide exceed the World Health Organisation’s (WHO) guidelines for safe air. In the UK, these efforts have primarily focused around London, which measures 50% over the safe annual level of PM2.5. The European Union sets legally-binding limits for concentrations of outdoor air pollutants, and these directives were incorporated into UK law by the Air Quality Standards Regulations 2010. In 2017, London breached the annual air pollution limit in the first five days of the year. However air pollution is by no means solely a London issue, with Glasgow’s, Manchester’s and Birmingham’s air recorded at 60%, 50% and 40% respectively over the WHO’s recommendations for safe air. The UK as a whole is an average of 20% over the safe level of PM2.5. Outside the UK, Dublin’s air is 10% over the safe level. Meanwhile, 59% of the UK population live in areas where nitrogen dioxide pollution is above the legal limit set by the EU. As national and international bodies around the world focus on this issue, it is essential that the construction industry keeps up with changing regulations and practices. What is the Scheme doing? 84% said there is an issue with air pollution in the construction industry. 64% said the industry is not doing enough to tackle air pollution. 58% said health, economic and climate change impacts are of equal weighting, while 31% said health impacts are the main problem. 56% said they have a good or detailed understanding of air pollution. 39% said they have an average understanding of the regulations surrounding air pollution. “A staggering 40,000 deaths a year are linked to air pollution in the UK, and many people are suffering long-term health problems caused by poor air quality. 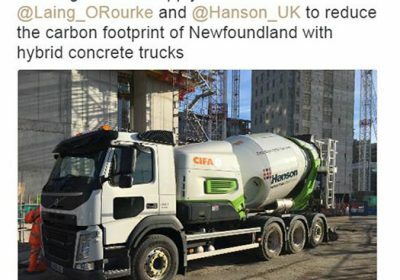 As construction is a significant contributor to air pollution, it is essential for the industry to put measures in place to clean up our air by working together to reduce our impact on air quality. 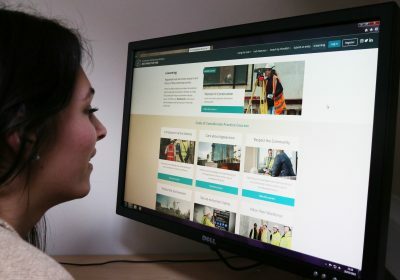 “The Scheme’s ‘Spotlight on…air pollution’ campaign provides everyone within the industry access to a practical suite of resources including best practice, guidance and case studies from Scheme-registered construction sites, companies and suppliers on how to tackle this issue, as well as guidance from organisations including the Institute of Air Quality Management, Healthy Air Campaign and the Greater London Authority. Air pollution is a complex issue and one which must be considered carefully by all contractors. It is hoped that the information above helps clarify the issue and outlines just some of the ways all of us can contribute to cleaning our air. 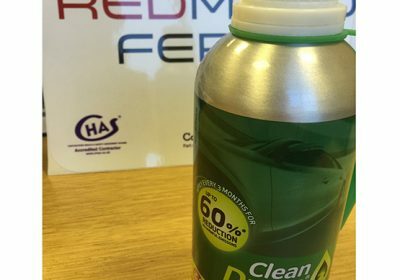 Sites, companies and suppliers of all sizes can do something about air pollution. 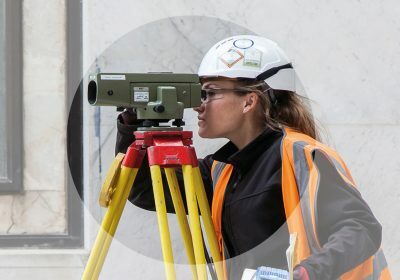 While some of the guidance below may apply to larger sites, there are ideas relevant to all contractors which could be adapted for their purposes. Where the risk of dust is deemed to have a negative impact on amenity, health and the natural environment – relative to site-specific factors such as proximity to sensitive receptors – an Air Quality Assessment may be required. This assessment should identify the level of risk to air quality during each stage of the project. Air Quality and Dust Management Plans should outline the steps being taken to mitigate the adverse impact of construction activities on air quality. In preparing Construction Logistics Plans, contractors should engage with their client/developers to demonstrate how they will deal with pollution issues during construction. 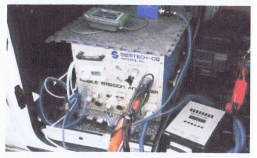 This can include the controls and systems outlined in the above documents and traffic/delivery considerations. 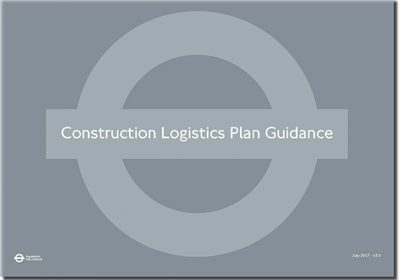 TfL has produced CLP guidance and templates. 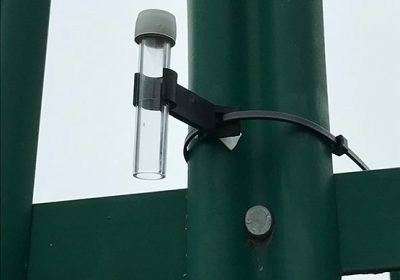 Baseline monitoring of air quality levels in the vicinity of the works before the project commences will act as a reference point to identify good and bad practice throughout the project. Dust emissions should be monitored through specialised machinery, visual inspections, daily dust logs etc. Continuous air quality and particulate monitoring will alert the contractor to any rapid increases in pollutant concentrations, so that mitigation measures can be put in place. An Air Quality Assessment identifying high, medium and low receptors prepared through the planning process by the developer (client). Organising the site layout to screen sensitive receptors (such as schools, hospitals and ecological features) and locate generators and plant away from these receptors. Conducting regular inspections of the site to ensure low dust levels. 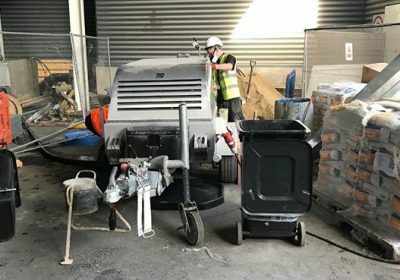 Preventing site vehicles from ‘tracking out’ fine particles onto the public highway by washing the wheels of vehicles leaving site and using road sweepers. Suppressing dust levels by damping down surfaces, using dust extraction systems etc. Minimising cutting, grinding and sawing to reduce dust emissions. Continuing stakeholder engagement by the contractor. Use of mobile crushing plant with the appropriate licence and nuisance controls. 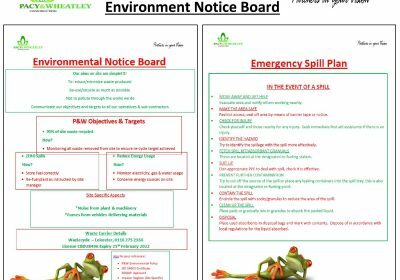 Procedures for dealing with spills and removal of contaminated soils/waste. Good waste management procedures, covers for skips, minimising vehicle movements. 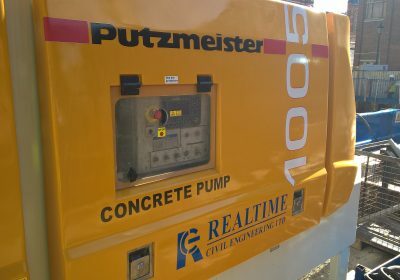 Vehicle management, including reducing idling, planning of works remote from boundaries, surfacing of haul routes and accesses/egresses, wheel washing, road sweepers, covering vehicles, use of dust suppression (water, chemicals), run-off management (reduces dust when mud dries out). Use of chutes, conveyors and covered skips. 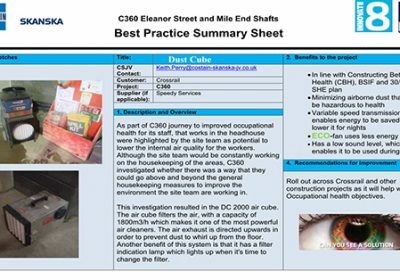 For more examples of dust management, see these Best Practice Hub entries. In Greater London there are strict emissions standards for NRMM, which are detailed above. 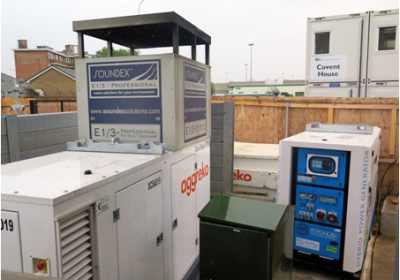 For projects outside London, meeting these low emission standards is best practice. 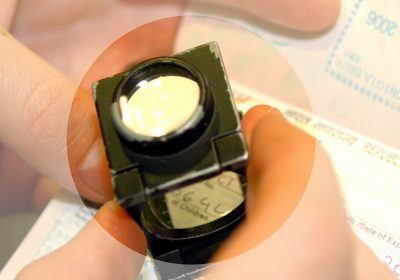 Registering plant on the NRMM register is a mandatory requirement in London. Elsewhere, sites may still choose to have an inventory of on-site plant. 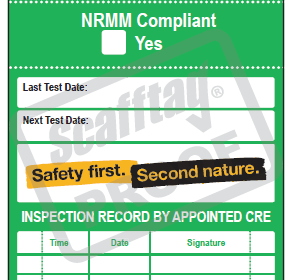 Ensuring on-site plant is regularly serviced and keeping service logs will help contractors keep track of their NRMM. 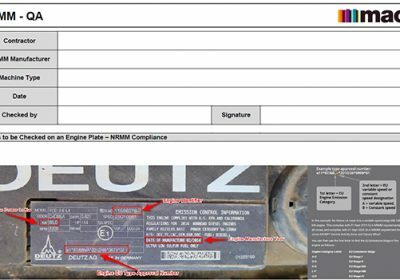 Using individual plant stickers to record engine and registration details help facilitate emission compliance audits. Sites should consider using alternative fuels to reduce the presence of diesel plant. 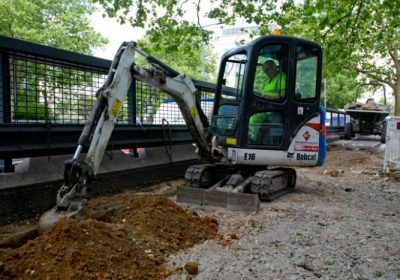 Some contractors are trialling electric excavators and other electric vehicles. If alternative fuels are not possible, plant can be retrofitted with exhaust filters or additives can be used to reduce emissions. At the planning stage, contractors could review the need for NRMM and consider other options to reduce the presence of polluting plant e.g. offsite construction. Sites should communicate with suppliers and delivery drivers and organise deliveries as efficiently as possible. 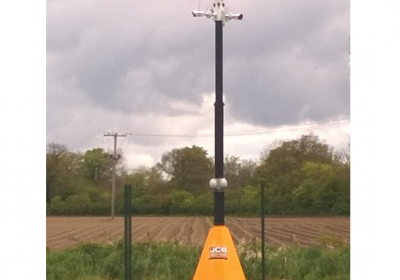 Lorry holding areas adjacent to or remote from site will allow vehicles to be brought to site when required and avoid peak times on the roads. Delivery management systems allow all delivery vehicles to be pre-registered to ensure they comply with emissions standards and ensure deliveries are organised effectively. 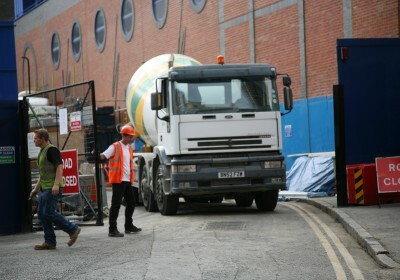 Organising deliveries eliminates queues of idling vehicles outside the site. Larger sites could consider consolidation centres – strategically located storage and distribution facilities where materials can be stored as a starting point for just-in-time deliveries. This is more efficient as it eliminates the presence of multiple uncoordinated deliveries of partially full loads. 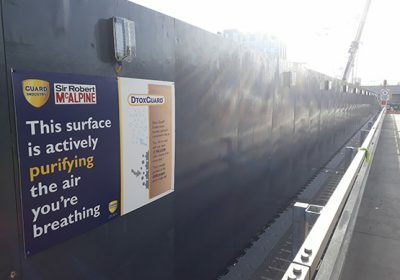 Air quality requirements should be included in site induction. Toolbox talks can reinforce no idling policies. 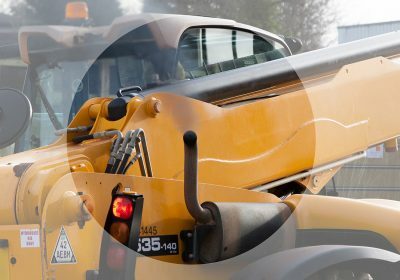 All too often, plant operatives and drivers leave their engines running while they take a break, which unnecessarily contributes to air pollution. Leaflets and posters on site can drive home the health hazards of air pollution. Car sharing schemes and cycle to work initiatives can help the workforce minimise their personal impact on air pollution. Encourage the workforce to use public transport. Public transport can provide a sustainable viable alternative to car travel. This campaign has largely focused on what contractors can do about air pollution. However, the whole industry can contribute to efforts to reduce emissions. This requires the engagement of the entire supply chain, including manufacturers and suppliers, in addition to the support of clients. 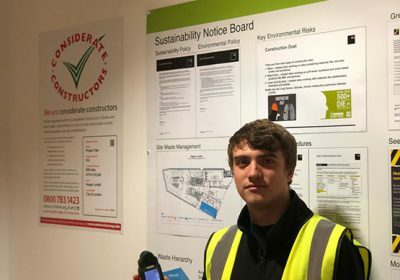 One Scheme survey respondent wrote: “It is not just about regulation – we should be driving positive change.” Taking proactive measures to reduce air pollution and being at the forefront of this issue will help improve the image of the entire construction industry. 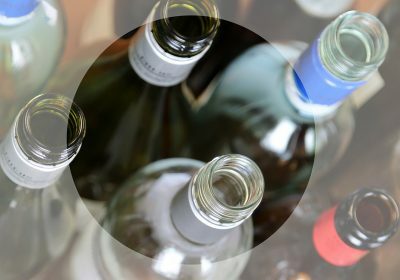 The Scheme will continue to update this page as new case studies and examples of how the industry is tackling this issue are identified. If you would like to share how your organisation addresses air pollution, please contact the Scheme by emailing enquiries@ccsbestpractice.org.uk. In February 2018, the Scheme launched ‘Spotlight on… air pollution’ to raise awareness of the impact of air pollution and provide the industry with advice on tackling the issue. ‘Spotlight on… air pollution’ provides a central resource for everyone in the industry to improve their knowledge of air pollution, including statistics, examples of best practice, useful resources and practical guidance…. 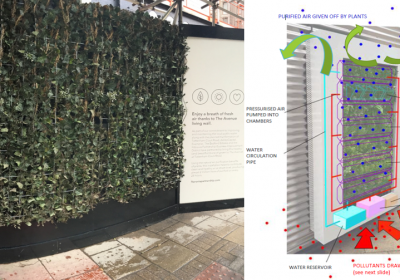 Canary Wharf Contractors outlines how it considers air quality throughout the building lifecycle. These measures include rules on engine idling, NRMM compliance, delivery logistics, dust management, transport emissions and monitoring stations. Read the case study here. Costain explains the air quality measures in place on their A465 scheme in Wales and demonstrates its commitment to tackling air pollution through a new requirement for NRMM on every Costain project across the country to comply with London’s standards. Read the case study here. Interserve’s Fleming Park Leisure Centre project won the Interserve national sustainability award. Air pollution mitigation measures on the project included dust suppression, co-ordination of construction traffic and use of diesel exhaust filters. Read the case study here. 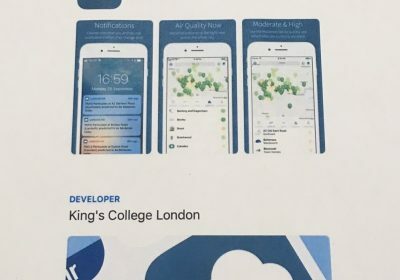 Mace discusses its air quality improvement initiatives and its work with Kings College London to accurately monitor construction site emissions to help better understand how the industry can reduce its contribution to air pollution. Read the case study here. 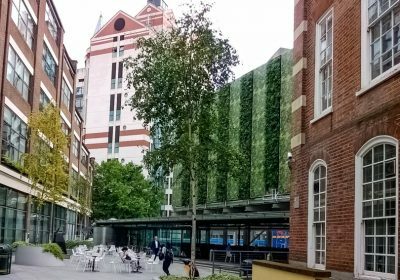 Sir Robert McAlpine details how its Broadgate projects address air pollution through air quality monitoring and NRMM compliance. Read the case study here. 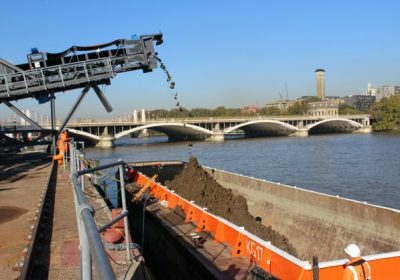 Institution of Civil Engineers provides a summary of the findings in their 2017 ‘Engineering Cleaner Air’ report, suggesting how contractors and politicians can help improve air quality. Read the case study here. 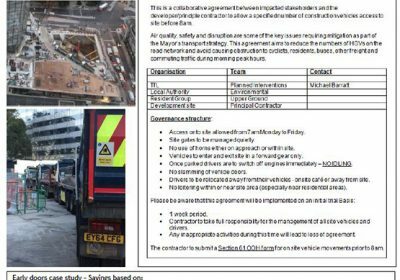 Transport for London discusses how they are working with Croydon Council to incorporate air pollution mitigation into the planning, logistics and delivery of redevelopment projects in Croydon. Read the case study here. Air quality management is a central part of UK environmental law; legislation sets out policies and regulations to minimise air pollution. The 1993 Act consolidated previous legislation to control domestic and industrial smoke, including dark smoke furnaces, smoke control areas and regulations about motor fuels. Over two decades since the introduction of the Clean Air Act 1993, there is a campaign calling for a new Clean Air Act to tackle air pollution and its newly understood long-term health effects. The campaign for new legislation includes organisations such as Greenpeace and the British Lung Foundation and has the backing of 65% of the British public, according to a 2017 survey. Under this Act, the UK Government and devolved administrations are required to produce a national air quality strategy. This Act requires local authorities to review air quality in their area, and, in places where air quality limits are exceeded, they must designate Air Quality Management Areas (AQMAs) where they will work towards certain air quality objectives. View a map of AQMAs across the UK. The Environment Agency, the body which regulates the release of pollutants into the atmosphere in England, was established under this Act. 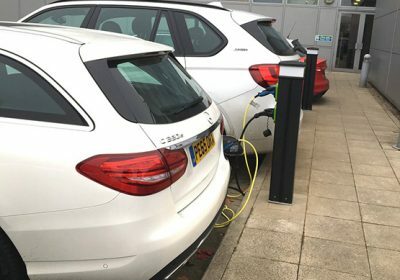 Where an AQMA has been declared, local authorities in England and Wales can apply for powers to carry out roadside emissions testing, with a possible fine of £60 if an emissions offence has been committed. These regulations set air quality standards for the UK and implement EU directives 2008/50/EC and 2004/107/EC on ambient air quality. These directives set legally-binding limits for concentration of major air pollutants such as PM10, PM2.5 and NO2. The Republic of Ireland also incorporated these EU directives into national law with the Air Quality Standards Regulations 2011. 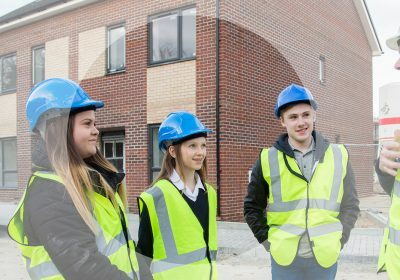 There are a number of organisations and resources available to help the construction industry and individuals understand and minimise their impact on air pollution. 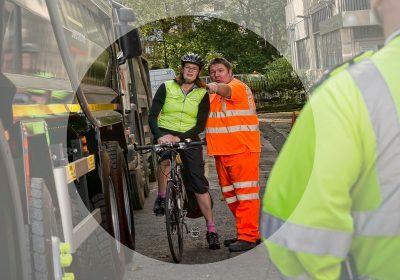 The Considerate Constructors Scheme works closely with the Institution of Civil Engineers and their London Air Quality Taskforce. 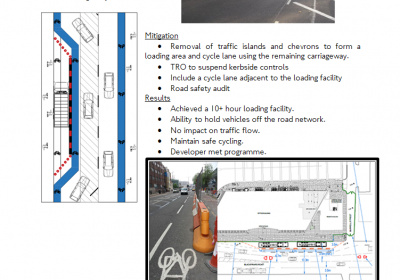 The Scheme is specified in the Taskforce’s ‘Engineering Cleaner Air’ report from October 2017. To support this partnership, the Scheme produced ‘Spotlight on… air pollution’ posters in collaboration with ICE. BreatheLife is a joint campaign led by the World Health Organisation (WHO), United Nations Environment and the Climate & Clean Air Coalition (CCAC) to mobilise cities and individuals to protect our health and planet from the effects of air pollution. Cities join the network and pledge to reach the WHO’s air quality guidelines by 2030. 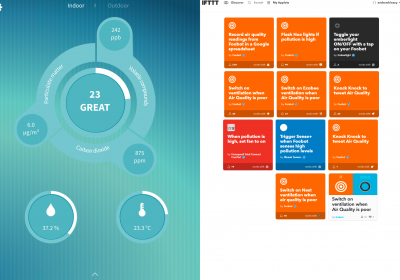 Its website includes information about the issue and a tool to see air quality in your city. 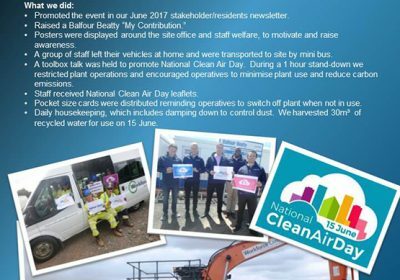 Clean Air Day 21 June 2018 aims to raise awareness of air quality issues and encourage individuals to reduce their contribution to air pollution. Clean Air in London is a campaign to achieve compliance with WHO air quality standards in London and elsewhere. The website includes a number of resources to help people understand air pollution and how it affects their lives. Clear the Air is a Scottish website aimed at helping young people understand air pollution, including a tool for seeing the pollution in their area and calculating vehicle emissions. Healthy Air Campaign is a nationwide campaign to raise awareness of the issue of air pollution, outlining the facts about the issue and what individuals can do to help. 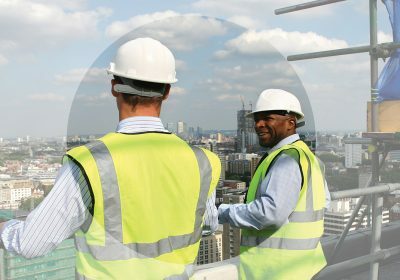 Institute of Air Quality Management (IAQM) is the professional body for air quality professionals, providing up-to-date guidance and hosting training events. 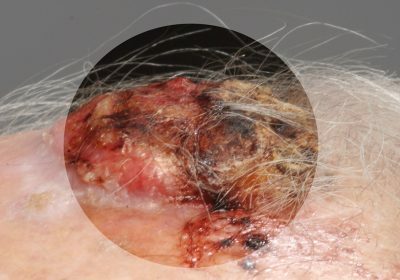 Institution of Occupational Safety and Health (IOSH)’s No Time to Lose campaign raises awareness of occupational cancers. Their diesel exhaust resource pack provides factsheets, posters and presentations on the health hazards of diesel emissions. London Air is the website of the London Air Quality Network and shows current air pollution levels in London and the South East. NetRegs provide free environmental guidance for small and medium sized businesses in Northern Ireland and Scotland. View their videos about tackling air pollution. Royal College of Physicians and the Royal College of Paediatrics and Child Health released a report in 2016 entitled ‘Every Breath We Take: The Lifelong Impact of Air Pollution’, which details the health effects of poor air quality. State of Global Air is a vital resource for the latest global, regional, and country-specific data on air quality and health. The website features the latest reports as well as interactive maps showing air quality and health data across the globe. Time to Breathe is a campaign led by the British Safety Council that calls on employers, policy-makers and regulators to take seriously the risk of ambient air pollution to the health of outdoor workers. 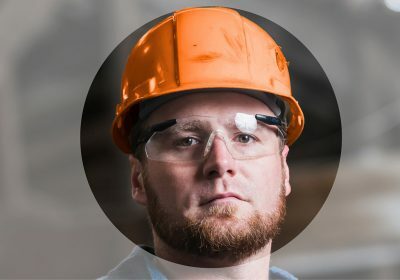 Construction Dust Partnership is an industry collaboration involving different organisations, including the Health and Safety Executive and the Considerate Constructors Scheme, to raise awareness within the industry about lung diseases related to hazardous workplace dust. 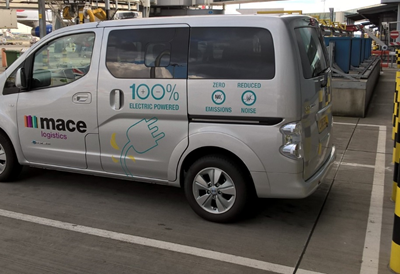 London Low Emission Construction Partnership (LLECP) is a collaboration between the Cleaner Air Boroughs in Central London and King’s College London. 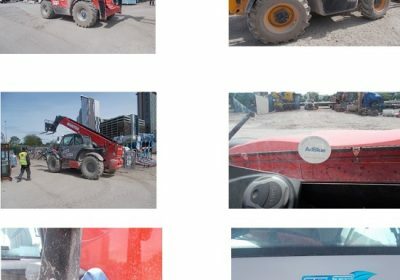 The project is funded by the Mayor of London’s Air Quality Fund and aims to reduce emissions from the construction industry by helping contractors understand and minimise their impact on air quality. 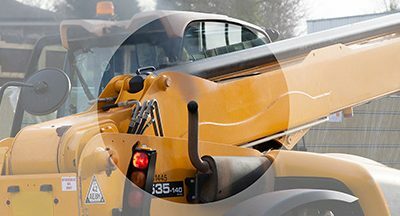 Non-Road Mobile Machinery (NRMM) register is an online tool established by the LLECP to help contractors in London understand and comply with the latest emission requirements for these vehicles. Supply Chain Sustainability School is an online resource which provides the industry with advice for addressing sustainability issues. 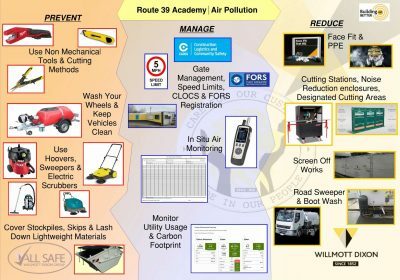 The School has developed a toolbox talk on the issue of air quality. View the toolbox talk here. Unite seek to minimise worker exposure to harmful diesel emissions through downloadable posters and leaflets highlighting the dangers of diesel and an online register of diesel exhaust emissions for workers to report dangerous exposure. See their campaign page here. Initiatives and standards to tackle air pollution in London may soon be replicated in other cities across the country. 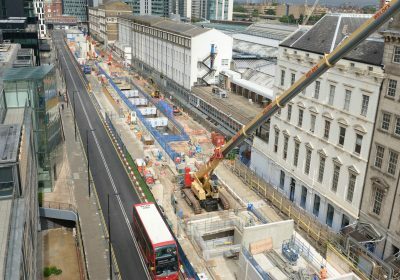 In July 2014 the Greater London Authority (GLA) released Supplementary Planning Guidance entitled ‘Control of Dust and Emissions during Construction and Demolition’. This introduced new standards to create a Low Emission Zone for NRMM, effective from 1 September 2015. 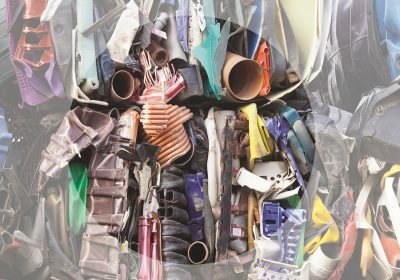 – The September 2017 ‘NRMM Practical Guide’ outlines the emissions standards and provides advice for London contractors to achieve compliance. – Air Quality Fund: This is a £20 million fund to support new projects to improve air quality. The Mayor’s Environment Strategy, with a chapter on air quality, is currently in development. Transport for London is a key driver of change in vehicle emissions. TfL has committed to establishing an Ultra Low Emission Zone (ULEZ), requiring all vehicles in central London to meet strict emission standards. 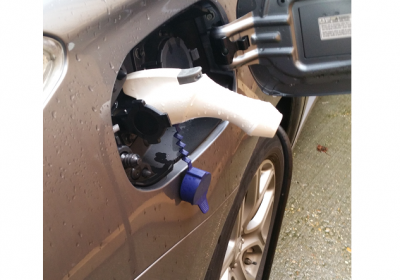 The ULEZ will come into effect on 8 April 2019. These measures are already seeing positive effects, with a marked improvement in London’s air quality in early 2018 compared to the previous year. See more here. Other UK cities are following suit, with Leeds proposing a Clean Air Zone and Sheffield introducing a Clean Air Strategy. For more information about cities’ approaches to tackling air pollution, read the Centre for Cities 2018 briefing paper on the subject. Visit your local council’s environmental health department for information on air pollution management in your area.